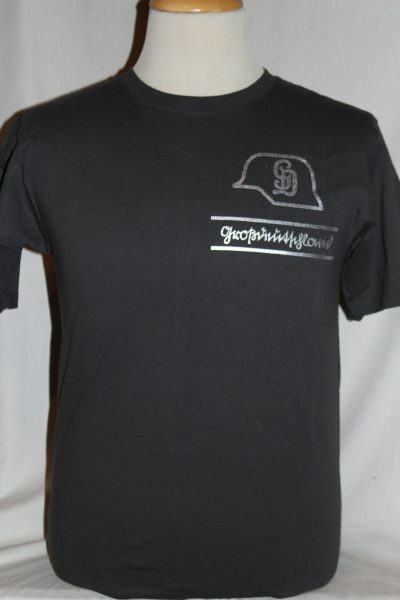 The Großdeutschland [Greater Germany] T-shirt is a single sided print in dark grey. Front Design Only: Left chest artwork having the Panzer Grenadier Division Unit Großdeutschland insignia (division eventually a Panzerkorps) screened on the front. The pan-nationalist political idea was of unifying all German speaking people in a single nation state. The military extension of this philosophy created the GroBdeutschland Panzer Grenadier Division. There is to be a single military unit for all the land. 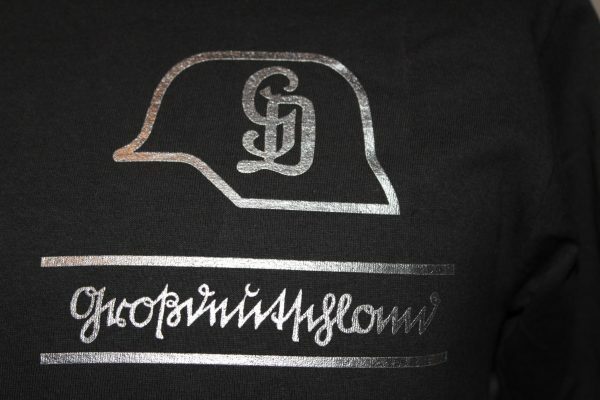 Note: Text is in the old German script. .
Anvil 100% cotton 6.1 ounce heavyweight shirt. Taped shoulder to shoulder, double needle hemmed for insured durability. This shirt wears well and will retain its original color and decoration after multiple washings. Note, we use the best quality preshrunk shirts available.